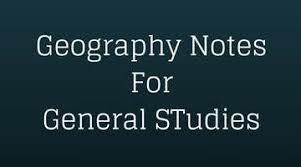 General Knowledge Question Related To Indian Geography Set 5 And Date Wise 27-08-2017 For All Examinations Which among the following rock system in India is also known as storehouse of minerals And provide the general question relating to the Indian constitution, that will much more and General knowledge questions and answers – for all competitive exams – MBA entrance, bank exams, RRB – Railway Recruitment Board And CAT, MAT, SBI-PO, RBI And Railway, Indian Army , Rajasthan,Delhi Police Related Study material And All competitive Exams. Question. (1) The structure of the Earth Planet, what is the crude under the ridge? पृथ्वी ग्रह की संरचना में प्रावार के नीचे क्रोड किस से बना है? Question. (2) What is the name of the second layer from the top in the three concentric layers of the earth? पृथ्वी की तीन संकेन्द्री परतों में ऊपर से दूसरी परत का नाम क्या है? Question. (3) How much is the total latitude? कुल अक्षांशों की संख्या कितनी है? Question. (4) What is the number of Longitude? देशान्तरों की संख्या कितनी है? Question. (5) Which of the cities is closest to an equator? नगरों में से कौन-सा एक भूमध्य रेखा के सर्वाधिक निकट है? Question. (6) Which country does not cross the Tropic of Cancer? किस देश से होकर कर्क रेखा नहीं गुजरती है? Question. (7) Where does the International Date Line pass through? अन्तर्राष्ट्रीय दिनांक रेखा कहाँ से होकर गुजरती है? Question. (8) which country is Greenwich? ग्रीनविच किस देश में है? Question. (9) What is the difference between a local time of two places to cross a longitude? एक देशान्तर को पार करने में दो स्थानों के स्थानीय समय के बीच क्या अन्तर होता है? Question. (10) what year was the International Date Line determined? अन्तर्राष्ट्रीय तिथि रेखा का निर्धारण किस वर्ष किया गया?